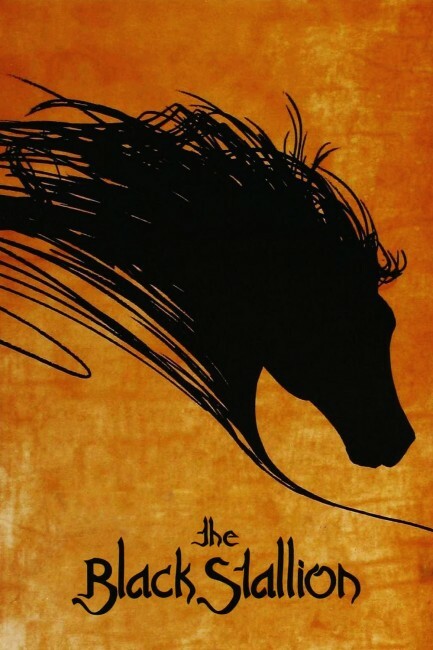 The Black Stallion is director Carroll Bernard’s 1979 movie adaptation of Walter Farley’s novel. It tells the story of a boy, Alec Ramsey, and his fascination with an Arabian horse he encounters first travelling on a ship with his father. After being shipwrecked, the boy and the horse, coined “The Black” later by Alec, find themselves on an island. He garners the horse’s trust there. After being rescued, they return to the Alec’s hometown to happen upon a horse-trainer who aids the two into becoming a bona fide racing duo. The film is riddled with a Romantic sense of nature. Romanticism is a cultural movement conventionally said to have happened between the latter half of the 18th century onto the mid-19th century. The Romantics emphasized the sublime of nature, but didn’t necessarily have an accord on what the word meant. The versatility of the word has been used to describe both the tranquility and beauty of nature’s primordial presence as well as its terror and indifference to man. With an encompassing definition, the film imparts into its audience all senses of the word. The visually succulent scenes of the film contrast with those that are turbulent and violent. 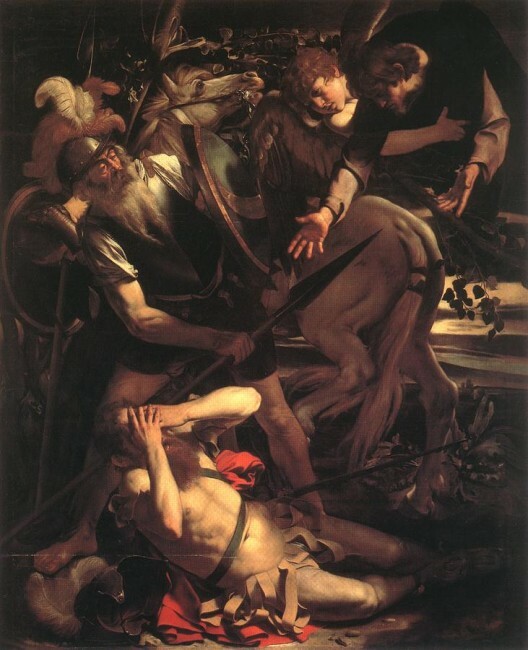 When the audience first meets Black, a group of coarse men are attempting to tame this unfettered animal as it flails and kicks with all reluctance to be mastered (this scene is Caravaggio’s The Conversion of Saint Paul in cinematic form). The storm that brings the ship into the ocean’s arms creates a crescendo of wind blowing, the vessel turning, water permeating the halls of the boat, and screams, as though it was nature’s own voice scoffing at man in his attempt to usurp her throne, a response to the aforementioned scene. Upon the island, though, viewers are given the delight of clear-blue waters, magnificent monoliths of stone, and a golden shore, making nature magnanimous and amicable. These motifs drive at least the first half of the film. It is sensual. It is pensive. Then, after the two are rescued, the film suddenly becomes something else. The two folds of the film have their own personalities without much purpose as to why. Suddenly, the sensual elements are dulled, and in their stead, light dialogue is used to create some semblance of conflict—rather than pursuing an interesting (even if age old) theme, the film’s principle aim shifts to Alec’s ambition to become a horse jockey. The characters remain virtually static for the entire film. What changes do occur are superficial and cursory. Alex is seemingly less timid when he returns from the island. The Black’s stubborn defiance is appeased by his relationship with Alec. Henry Dailey, the horse trainer, has his passion for horse racing revitalized by the youth Alec. These changes only serve to move the plot forward in an emotionless attempt at story telling. Flat characters can work for stories that deal with some abstraction, but this film abandoned its Romantic quality as soon as it decided that Alec’s new-found hobby would be the focal point. Viewers are left with a film – or a film’s better half – of eloquent cinematography and sound. The way the camera captures and displays motion is forceful. In the dynamic scenes, a viewer is compelled to feel their hair retreating from the wind. To hear the resonating gallops. Carmine Coppola, Francis Coppola’s father, also composed a worthy soundtrack. The juxtaposition of light and shadow nearly ubiquitous in the film creates a constant contrast—akin to the earth, of man and nature. In particular, the silhouettes of Black and Alec are found in the foreground where a radiant sun reflects on the water behind them. This added to the scene, visually imposing the bond formed between the two where dialogue is absent; they became one as shadows become one when fused. This film becomes convoluted in its two halves, fusing here poorly: one half seems to examine the relationship between man and nature: the other, a journey of a boy’s determination. They are hardly synergetic. The Black Stallion has a technical quality that gives it some merit, but when stripped of its aesthetics, it becomes a Hallmark-esque tale for children. Although, this is the type of film I can imagine my future children, in tedious repose, jesting halfway through, “Dad, you watch boring stuff.” I certainly enjoyed the movie. Even the excitement of the final scene had me exuberant. I also didn’t pay a penny (as paradoxical as it sounds to me, perks of working at Barnes & Noble). Had I purchased it for the high-ticket price Criterion assigns to its collection, I would probably be dissatisfied. So I’ve arrived at the unavoidable question: What is the criteria for Criterion? Inasmuch as I’ve gathered, it simply must be “great”. But that’s still subjective and, as a consumer, I want to know that my purchases are backed by some level of scrutiny. Is this film important in any monumental sense to cinema? Are there inclusions that make it worth avoiding a lower-end version? I only own a paper-sleeve Criterion copy as that’s what we received for in-store play. I can certainly understand a desire to see this film in its restoration, but that’s hardly worth it to pay the extra $25 to do so. That’s like five beers and five apologetic shrugs given to a peeved bartender (5×5=25). I am hard-pressed to assign grand significance to The Black Stallion beyond perhaps engaging in Romantic ideals through the medium of cinema. In short, watch this film. But don’t pay for a Criterion edition. Instead, meet me at the bar.